In this post, I'm going to discuss some more basic principles of Spring Framework. DI stands for Dependency Injection. DI is one of the form of IOC. Spring Framework was designed based on this pattern. As we discussed in my previous post, DI means “Resolving the bean dependencies”. In Spring Applications, Spring IOC Container resolves these dependencies automatically. NOTE:- IOC and Dependency Injection follow Push Model. In this section, we will discuss about what are all the major advantages of DI. NOTE:- What is the main responsibility of DI? We will discuss these categorizes one by one in detail with suitable examples in the coming sections. As we know, DI means resolving bean dependencies. To resolve bean dependencies, we can use different techniques. 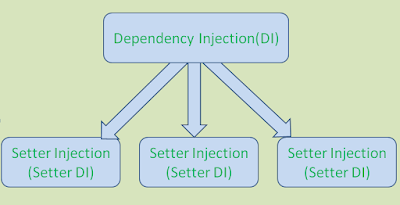 If we use setter method to resolve bean dependencies, then this kind of DI (Dependency Injection) is known as Setter Injection or Setter DI. How to represent Setter DI in Spring Bean Configuration XML file? 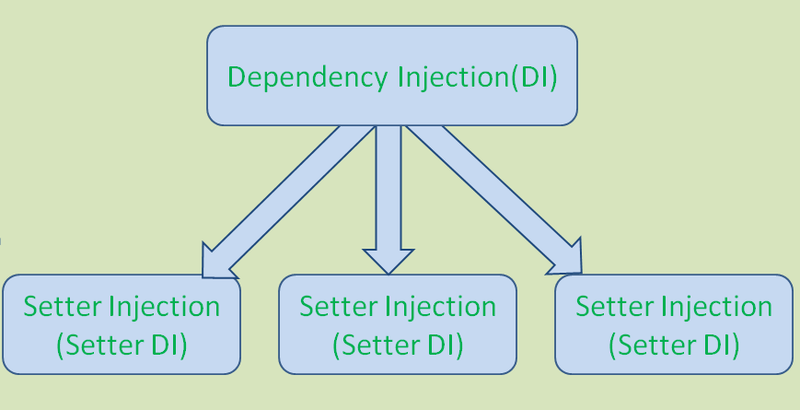 If we use constructor to resolve bean dependencies, then this kind of DI (Dependency Injection) is known as Constructor Injection or Constructor DI. How to represent Constructor DI in Spring Bean Configuration XML file? If we use interface to resolve bean dependencies, then it is known as Interface Injection or Interface DI. How to implement Interface Injection? Spring framework does NOT support Interface Injection. Why Spring framework does NOT support Interface Injection? Because we can NOT instantiate an Interface. That’s it all about “Spring Framework DI” concept. We will discuss some more important Spring Basics in my coming posts.